Depositor Education and Awareness Fund Scheme was established in 2014 and was inserted in the Banking Regulation Act, 1949 empowering the central bank. All banks are required to transfer money lying in accounts that have been inoperative for at least 10 years to the DEAF according to specific guidelines. As per the latest announcement, banks have to list out inoperative accounts every month and transfer funds lying in these accounts along with interest accrued, by the end of the each month. Inoperative accounts with banks include savings bank accounts, term deposits, recurring accounts, current deposit accounts, various forms of transfers such as telegraphic or mail, demand drafts, pay orders, unadjusted National Electronic Fund Transfer (NEFT) balances. A bank had to transfer entire amount to the DEAF as specified including the accrued interest that the bank would have been required to pay to the customer or depositor as on the date of transfer to the Fund. If anything present in the Banking Company Rules is not followed then banks shall preserve records/documents containing details of all accounts and transactions, including deposit accounts in respect of which amounts are required to be credited to the DEAF permanently. 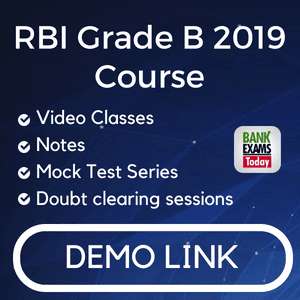 RBI will call for all information that are required which is related to an account or deposit or transaction for which a claim for refund has been submitted by a bank. Any amount payable in foreign currency under an instrument at the time of transfer to the DEAF be converted into Indian Rupees at the exchange rate prevailing on that date and in the event of a claim, the DEAF shall be liable to refund only the Indian Rupees received with respect to instructions. If any amount that are credited permanently and for those amount where refund has been claimed from the DEAF, banks shall preserve records/documents in respect of such accounts and transactions, for a period of at least five years from the date of refund. The Fund shall be utilized for promotion of depositor’s interest and for other purposes are specified from time to time by RBI. 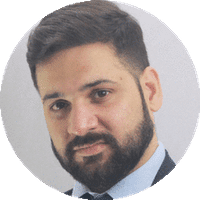 The depositor would, however, be entitled to claim from the bank his deposit or operate his account after the expiry of ten years, even after the unclaimed deposit funds have been transferred to DEAF. The bank would be liable to pay the deposit amount to the depositor and claim refund of such amount from the DEAF. The RBI would appoint an authority or a committee to administer the DEAF, and to maintain separate accounts and other relevant records in relation to the DEAF, which would be specified by RBI. The Committee shall meet when necessary, but at least once in a quarter time period the committee should have met for the discussion. The quorum for each meeting shall be at least the Chairman and one-third of its total members. The Committee can form its own rules for business. The Fund shall be utilized for promotion of depositor’s interests specified by the Reserve Bank. The Committee shall function for the purposes that may be specified by Reserve Bank in this regard from time to time. The Committee must form list of activities, the criteria and procedure, etc. for incurring expenditure and achieving the objectives of the DEAF in different interval of time. The Committee will work on DEAF and form all powers on behalf of the DEAF, including the expenditure that are spent for DEAF. As decided by the Committee even the expenses of the Committee and other expenses for administration of DEAF shall be charged to the DEAF itself. RBI for determination of the rate of interest payable by the DEAF to the depositors, the Committee shall provide to the RBI information on their income and expenditure as required are provided by the committee. The committee is responsible for the safe running of work under DEAF scheme and if there are any disputes in the DEAF then RBI will have to solve and maintain the work progress. If the scheme needed any changes in its rules and regulations then RBI alone can amend with required provisions with due notification in the gazette. 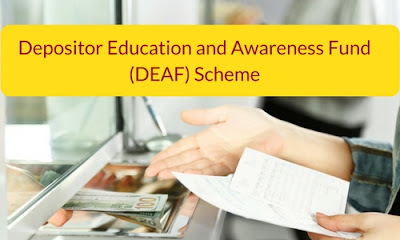 These are the important facts about Depositor Education and Awareness Fund Scheme (DEAF), 2014.